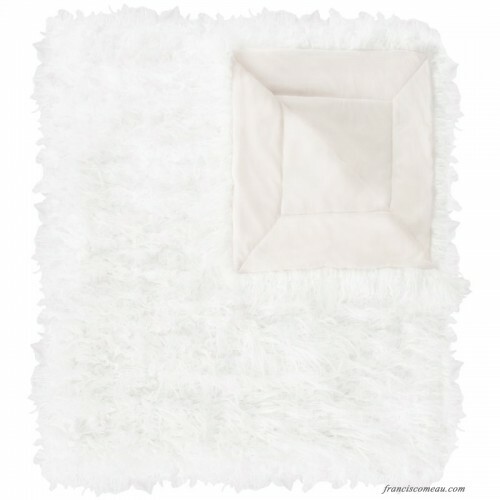 A crisp white hue fuses with a faux-fur texture to give this throw blanket a distinctive look that elevates any space in your home. 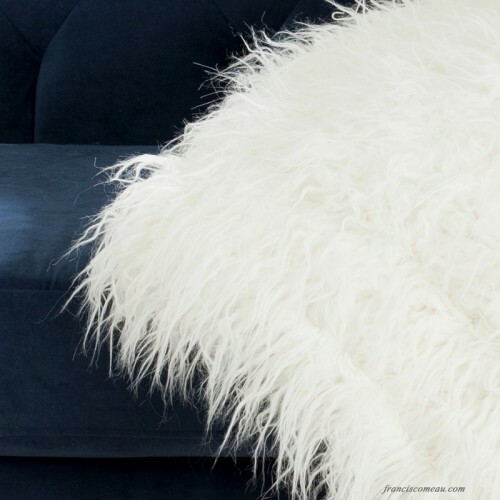 Add it to your living room seating group to complement a contemporary arrangement or use it to round out a bold boho ensemble in the den. 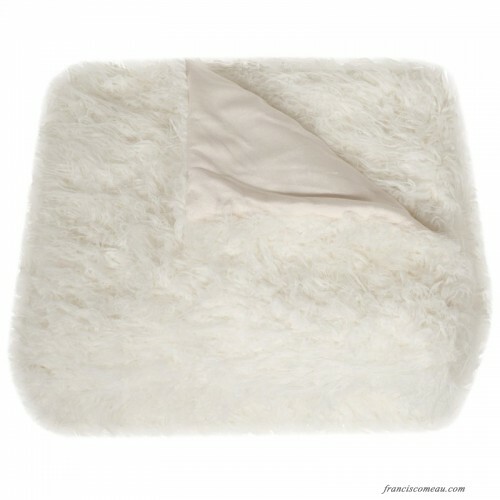 Looking to add an extra cozy layer to your bedding ensemble? Fold this blanket at the foot of your master bed for a touch of texture then pair it with a patchwork pillow for a dash of boho flair. 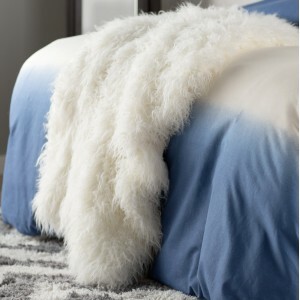 Crafted from acrylic and showcasing suede backing, this chic sheepskin-inspired blanket brings sophistication to any space.